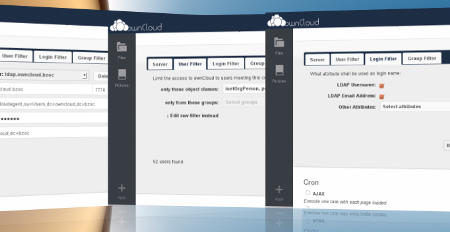 In about a week we release version 6.0.3 of ownCloud Community Edition! It is a maintenance release that includes nearly two months of improvements (including performance improvements) and some fixes. I want to use this opportunity to shed some light on the fixes the LDAP back-end has seen. There are no big things, however, but the performance improvements in sharing related methods and in the configuration wizard will significantly enhance the experience for end users and admins. The following list is not a complete one, but addresses the most notable changes. Since recently, Google delivers its YouTube videos using the weak RC4 cipher. There are rumours that the NSA can break RC4 in real time, so it is recommended to disable this cipher in your browser, if you want to play safe. However, when you disable RC4, you cannot watch YouTube anymore. Why does YouTube insist on RC? Is it better than without transport encryption? Is it just temporarily? And how can I still the videos without re-enabling RC4? Read more about Why does YouTube insist on weak RC4? I would like to take the opportunity of this special day to express how much the influence of Free Software to my life is. Back in 2005 I started to use Linux and because I had no clue I looked for support in the German-language Kubuntu community. This is how I jumped into and got an idea about Free Software. Kubuntu and the people were fun, after some time I was able to give support and not only take it. I helped out with other things, started to attend conferences (usually also in combination with a Kubuntu community booth). I met amazing people who became really really good friends. Finally, finally, I found the time (spread over several months) to refurbish my blog. Not that it took so long, but spare time is rare these days. I decided to stick with Drupal and created a fresh and clean installation of 7 to replace the old Drupal 6. Now Drupal is somewhat overkill for a simple blog, but I the alternatives did not convince me for various reasons. 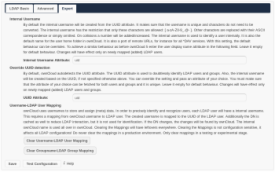 We just released the Beta 1 of the upcoming ownCloud 6 series! It is spiced up with two new features. The most exciting one is probably collaborative editing of ODF documents. However, I do not want to write about it, ownCloud Documents is already covered by Frank. The other feature that just went inside is revamped LDAP settings in a wizard-like fashion. Now, the minimum number of required fields you need to fill in is *drumrolls* 3! Of course without loosing the flexibility you are used to. Providing the LDAP server host, a user DN and a password is usually enough. ownCloud will take care of everything else. Some settings will be suggested, you can just accept them, and more will be auto-detected. 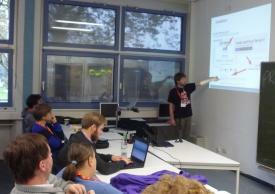 Last weekend I attended Ubucon, an Ubuntu user conference organized by the German Ubuntu community. I was giving a talk about, surprise, ownCloud. If you are interested in my talk, please find the slides in PDF on the program page. Beware, they are in German! Those who have seen my talk, please give your honest feedback on the Ubucon feedback page! A detail that is not on the slides is that I was wearing my "I am the first one" Jolla T-Shirt (like this). It provoked the question about an ownCloud mobile client for SailfishOS. I want to answer it here as well. 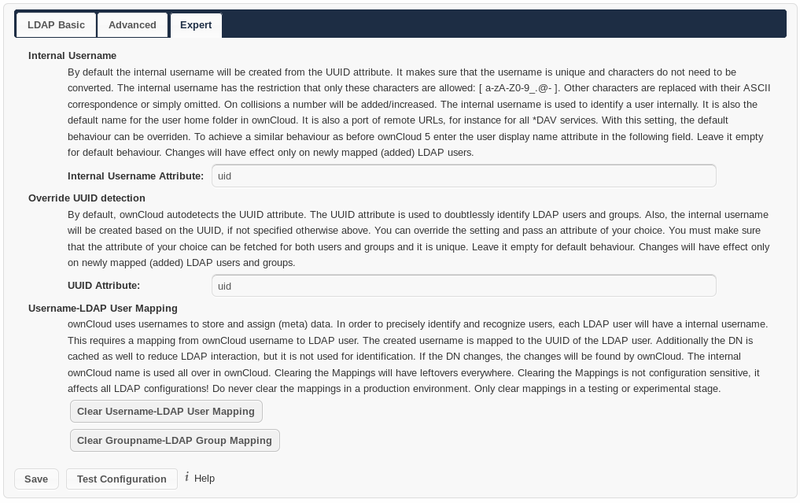 As you may know, the LDAP backend in ownCloud 5 got a couple of new features and some changes under the hood (see point 3 on ownCloud 5 released, Google Reader Alternative). Seven maintenance releases later, some bugs have been smashed, but an irksome quirk is left. Today we released ownCloud 5! I do not want to repeat what is already written in the Announcement, but I like to share some other points with you. As posted before, I spent the last week at LinuxTag in Berlin. For us (ownCloud) it was pretty good. It was our first appeareance there, hence we got a lot of interest and visitors. We got higher visibility through the two booths, i suppose, but especially because of our most recent ownCloud 4 release. All in all a good combination that made ownCloud overtake Ubuntu One in Google Trends (12 months view, click to enlarge). During LinuxTag, Frank also gave an interview to Golem, a German online magazine, about features and the history of ownCloud and the company behind.